After many weeks of random snow days, delays, and holidays we now have a promised full week of school with preschoolers who have no idea whether we eat once or twice each day. (Once on delay days and twice on regular days.) To help celebrate back to a routine that should make life easier once we get used to it again I have a couple items to give away. In addition, Teachers Pay Teachers has announced its quarterly sale which means my shop will be 25% off when you use the code: TICKTOCK at checkout. This is a great time to buy bundles because they are already regularly discounted and the sale makes them a steal. 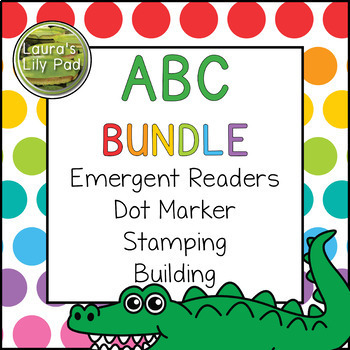 For example, I use activities from my Alphabet Bundle every week. 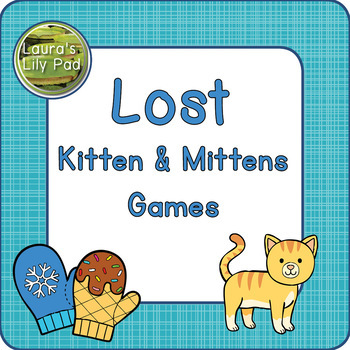 Whether you are a letter of the week fan, do letter of the day, letter boot camp, or mix it all up there is plenty in this bundle to help you out. Below is just one example of the items in the bundle. 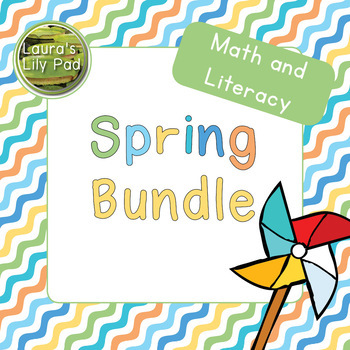 If you are getting ready for Spring you may want to grab my Spring Math and Literacy Bundle. It includes lots of centers ideas, including a newly added Spring Geoboards set. 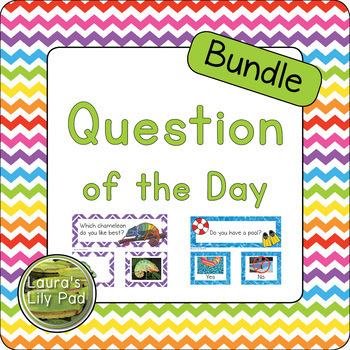 The Question of the Day Bundle is also used daily in my classroom. 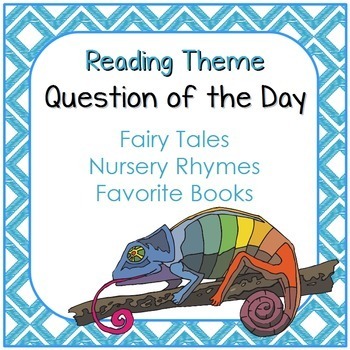 This week I am using the nursery rhyme related questions. Below you can see one of the insect themed questions that I will be using later in the year. Where’s the freebie? 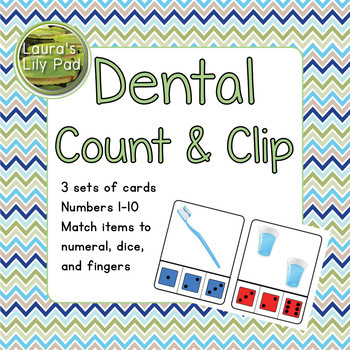 I just recently added a Dental Health set of count and clip cards to my TPT shop. Just click the cover below to be taken to my shop for the freebie and to pick out some goodies for the sale. Finally, I have a giveaway of a $10 gift certificate to Teachers Pay Teachers as well as a giveaway for one resource from my shop that is worth up to $5. This giveaway ends at 12:00 am March 1. I will send out an email to the winners that day. So, please enter the giveaway and do not forget the code of TICKTOCK to get your full 25% in my Teachers Pay Teachers shop on Tuesday and Wednesday, February 25th and 26th. I would especially like you to do the entry involving commenting on this post about your favorite book that you need more resources for. Although we technically had two weeks of transportation in PreK it was broken up by the weather. As always I started each day with our Question of the Day. Around this time of the year I change the student name tags to last names so that they can start recognizing those. I put first names on the back of the tags so that they can check to make sure they are correct as they grab their tags to answer the question. For the siblings in my class I put all of the first names on the back of each tag. This time I put the pattern blocks on the fine motor table, although I do sometimes use contact paper and put them on the easel. You can find some pattern blocks sheets here and here. Since we are not doing a space theme during the school year this year, I decided to use my rocket drawing activity during transportation week. I found this at Making Learning Fun. 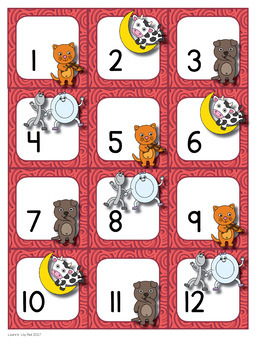 My Melissa & Doug Magnetic Picture Maker was really popular this year with a few of my students this year. I was fortunate enough to discover this on clearance at a craft store a few years ago. This requires fine motor control and stamina since it has so many pieces to fill in a picture. My Transportation Bundle includes this roll and graph game that I had my students complete with stickers. This one is for my students who are still working on stamina so it only goes up to five. I try to balance the activities in my room to appeal to different levels of the students in my classroom. 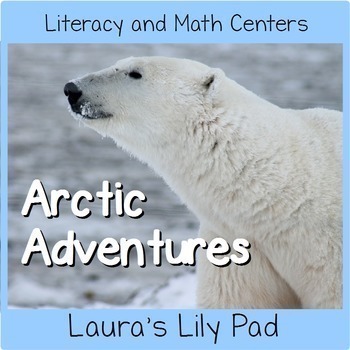 For my writing center I also chose a couple different activities from my Transportation Bundle to meet the interests and levels of my students. I use the alphabet stamping set from Melissa & Doug (affiliate link) and crayons. Just trying out new stamp pads. Still looking for the perfect stamp pads, so if you have any you love, please let me know. 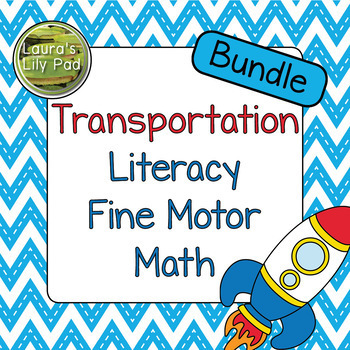 The other writing center activity from my bundle involves dry erase markers and writing transportation words for my students who are ready for that. I also used my transportation sort game in my sensory bin along with magnet fishing poles. In order to make the cards magnetic I just put a few staples in the edges of each one after laminating. For the science table I started with magnet wands and magnetic trains. I showed the students how to use the wands to make the trains follow the taped paths without touching the trains. The other science activity for transportation involved building bridges. I found some ideas here. I printed and laminated photo examples and provided the supplies and let the kids experiment. Another letter focus activity comes from my Alphabet Bundle. Students use dot markers to dot the letter and pictures of words that start with the letter. I purposely limit the letters and letter sounds on each page with this set of dot marker pages. In the block area I added my train set from IKEA. I have had this set since my girls were little, but there are many similar sets out there. This one looks fun as well. I was also gifted with some stencils that include transportation themed ones from Lakeshore. (not affiliate link) These are great because they are really sturdy. It does take a while for preschoolers to understand that they have to hold the stencil still while working with it, so the sturdy ones work best. I would like to try out the Melissa & Doug set as well. Those were my main centers activities during my Transportation theme. 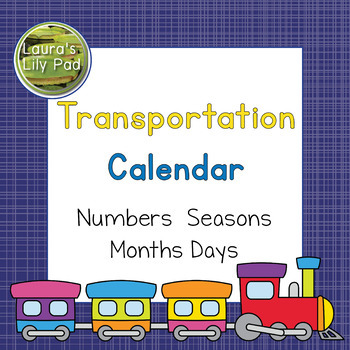 If you would like to check out my Transportation Bundle and Transportation Calendar set, you can click through to them below. So I had grand plans when I found these penguin erasers at Oriental Trading and then we had a bunch of snow days. Since I already created several games I decided to use some of them in our early care room instead. Above you can see the Penguin Grid Game. Students roll a die to figure out how many penguin pictures to cover. If you don’t have the erasers (and I noticed that they are currently out of stock at OTC) the students could use goldfish crackers to feed the penguins or Aldi’s has penguin crackers as well that could be fun. I see that the erasers are also available at Fun Express, but I am unfamiliar with that company. The younger students in early care worked on matching penguin colors to fill in the grid, while the older ones worked using the die as well. For the Penguin Path Game, students chose their favorite color penguin to take from start to finish. They rolled the die and moved the appropriate number of spaces. This involves practice counting as well as working on one to one correspondence when moving along the path. There is also a spinner included in this set of math games that can be used to play the path or grid game. I chose to make the spinner separate from the boards in case you want to use the die instead. I also find that students tend to knock their pieces all around while spinning if the spinner is attached to the board. In our PreK classroom we work on patterning with our calendar cards daily, but I also like to rotate in centers on a regular basis to practice patterns. These ones can be used without the erasers by using the answer choice pieces at the bottom of each set of pattern strips. I cut and laminated mine to use with the erasers, but if I did not have the erasers I would cut and laminate the answer choices. I would then utilize velcro dots or clothespins to have students secure their response to the strips. 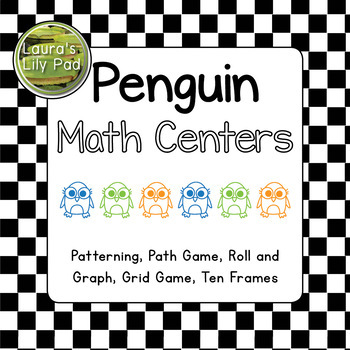 This set of Penguin Math Games can be found in my TPT shop. If there are other penguin related activities you would like to see be added, please let me know. Our first week back from winter break was a short three day week, so I centered most of my plans for bears and hibernation around the book, We’re Going on a Bear Hunt (Amazon affiliate link) by Helen Oxenbury and Michael Rosen. The first craft involved painting the backs of paper plates with brown paint and scrapers. This project was inspired by this one for Brown Bear. The paint scrapers/brushes are similar to the ones with the green handles in this set below. After students painted with their choice of scraper/brush, I cut the shape to make the mask. The next day students attached ears and nose. Some students used their masks to be the bear in our pretend play area. I utilized a discontinued Cranium building set to make a large open cave area so that I could clearly see what students were doing while pretending to be a bear. You could also utilize a pop-up tent. I found a map set that matches the order of events in the Bear Hunt book. Part of this was also used on my easel to put the map in order after reading the book together. I also used signs around the room to use with the map to travel around the room to find the bear. The map was laminated and put on a clipboard for the two students who were searching for the bear to follow around the room until they reached the cave and the bear. The bear was the third student playing in the pretend play area. Students could also re-create the Bear Hunt in the block area, where I provided the characters as well as some winter trees and some blue and brown felt which could represent the water and the mud in the story. Our question of the day related to hibernation all week, including the one above. There were actually a few children who voted to hibernate all winter. The hibernation questions can be found in my Question of the Day Bundle, or in the smaller set of questions here. I played a matching bears game with a few students during this short week. This gave my students a chance to see that there was more than just brown and white for types of bears. Always a favorite with any set of cards is the Cranium Cariboo. This is also no longer made, so if you see one anywhere be sure to snag it. My only challenge is to remind my students to use the cards to pick which door to open because they get so excited about finding the balls that they forget. The winter themed cards were a freebie on TPT. The Roll and Cover game was matched with the size sorting bears and a foam die. This game suffered the indignity of being at the same table as the Cariboo game, so was sometimes ignored or played while waiting for a spot to open up for Cariboo. The bears below come in three sizes. I am not sure where we got ours as they come in four sizes with the numbers 3, 6, 9, and 12 on their bellies, which I just discovered this year. I had always assumed they were three different sized until I noticed the numbers. Play dough is a great activity for any week. It is especially good for back to school after a break. The play dough mats I used came from Child Care Land (I don’t see the exact one there right now but she has some cute printables for play dough.) and Sparklebox. We also worked on some letter activities during the week to go along with the letter I, including punching. Students work on recognizing the letter as well as building hand strength. I use regular hole punches as well as some crafting ones I found at the dollar store that seemed to be a little easier for some of my students to use. I tried to have some bears in my sensory bin but students kept thinking they were just in there by accident from the roll and cover bear game. The bin is white rice, winter pasta, silly bands shaped like the alphabet, snowflake table scatter, flat clear glass beads, a snowflake container from the dollar store as well as a large scoop I just picked up from Dollar Tree, along with a few other tools to pick up things. The scoopers below look great and will probably be added to my list soon. The set I have I believe were from Oriental Trading Company. I like them but they do occasionally come apart when students try to use them with two hands instead of like scissors. My favorite new addition to my apples in PreK week this year is the apple orchard. I had seen several pretend play areas from other classrooms and decided I wanted to add some apple trees this year. I put a small amount of velcro on each ball and the matching side on the tree top. I figure when I am ready to take down the tree tops I can put it all in storage for next year. As always, we start our day with our question of the day. The question above can be found in my Question of the Day Bundle or the Farm, Apples, Pumpkins, Fall set. Our writing center is very popular this year. For the week we had some apple pre-writing from Confessions of a Homeschooler as well as name practice and practicing the letters we have focused upon so far this year. These apple orchard magnets were meant to be used with play dough, but I wanted something for my student to work on a vertical surface so I utilized them this way. You can find them at Life over C’s. We work on using our hands with a variety of tools in my PreK class. This includes scissor practice, like the apple cutting strips, and paper punches to punch our focus letter. I filled my sensory bin with green lentils, decorative apples, an apple shaped colander, an apple shaped ice tray, a couple cinnamon sticks, and some apples made from pipe cleaners that could be caught with magnet wands. The science table involves a STEM building challenge to build an apple tree that will hold the most apples. Toward the end of the week some students decided to add to the challenge by making the tallest tree as well. Our apple theme arts and crafts projects for PreK involved lots of paint. For our apple core, students painted top and bottom with the apple color paint that they wanted. They added seeds to the middle with a marker. The apple tree involved some cutting practice. I marked the brown paper with two lines to cut to make the trunk. This gave me a chance to assess cutting skills during this project. Then we used bath puffs to paint the green top of the tree. I had plenty of yellow and red circles for students to glue on to their apple trees. I enjoy most the arty crafty projects that all look different from each other, so I am pleased with our apple trees this year.